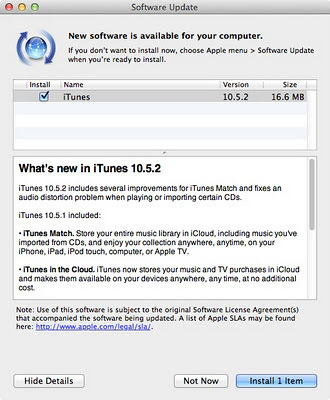 Earlier today, Apple released the iTunes 10.5.2 update for Mac OS X and Windows PCs. The 16MB or update addresses iTunes Music match and audio distortion on certain CDs. "iTunes 10.5.2 includes several improvements for iTunes Match and fixes an audio distortion problem when playing or importing certain CDs." 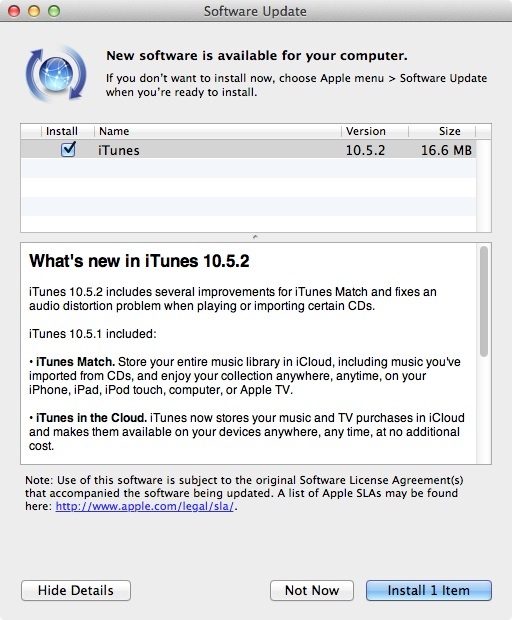 iTunes 10.5.2 is available now via the Software Update control panel or via direct download from the Apple website.